Keith Jarrett On Piano Jazz Following Jarrett's stellar performance at Carnegie Hall in 2005, Marian confronted the elusive performer and convinced him to put in an appearance on her show. Hear an interview and performance. Keith Jarrett made a long awaited appearance on Piano Jazz in 2006. Host Marian McPartland tried for years to line-up elusive pianist Keith Jarrett for a Piano Jazz session. Following his stellar performance at Carnegie Hall in 2005, McPartland confronted the elusive performer and convinced him to put in an appearance on her show. The Allentown, Pa., native graciously invited McPartland and a small crew to his home studio, a converted barn next to his 18th-century farmhouse. The intimate setting and the chemistry between the two made for an exhilarating session. Jarrett is one of the most significant jazz pianists to emerge in the latter decades of the 20th century. A classically trained player and a composer, he was inducted into the prestigious Downbeat Hall of Fame in 2008. He has played with Miles Davis and Art Blakey, and has made several legendary recordings with a quartet that included bassist Charlie Haden, drummer Jack DeJohnette, and sax man Dewey Redman. Jarrett plays totally in the moment — he sits down at the piano with no musical pre-conceptions. "Usually if I have an idea it locks me in its little room and keeps me there unless I get rid of it before I put my hands on a keyboard," Jarrett says. Appropriately, he begins the session with a lyrical, improvised piece reminiscent of jazz great Bill Evans and classical composer Aaron Copland. It's a complete musical idea of which McPartland says, "Lovely chords!" McPartland takes a solo turn on a favorite of Jarrett's, the Loonis McGlohon-Alec Wilder song "Blackberry Winter," and on her spontaneous, musical "Portrait of Keith." The portrait is both direct and sophisticated, with expansive voicings, and it ends with a single note. Jarrett laughs, "In the end I'm in B-flat! I didn't know that about myself." There are two duets in the session. One is a totally improvised free piece where the pianists' musical ideas mesh seamlessly. The other, "Indian Summer," is the final number of the show. When it's over, McPartland exclaims, "Oh, I hate it to be over! I've had a wonderful time with you!" 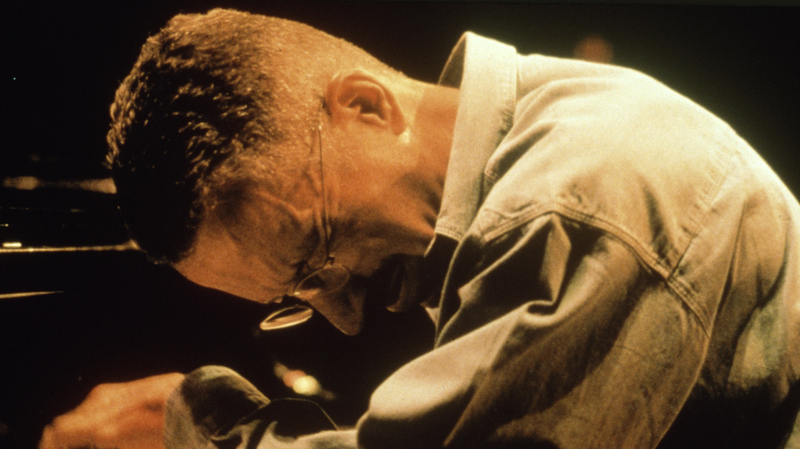 Keith Jarrett continues to travel and perform. His recent releases include the 2011 live solo piano album called Rio, and the July 2012 release Sleeper, a "lost" recording of a 1979 Tokyo concert featuring his European Quartet. Originally recorded Sept. 8, 2006.